Panax heyneanus Wall. ex G.Don. Polyscias scutellaria (Burm. f.) Fosb. Polyscias scutellarioides (Reinw. ex Blume) M.R.Almeida. CHINA: Yuan ye nan yang shen. COOK ISLANDS: Kapaie, Kaope pa.
INDONESIA: Daun mangkok, Mamanukan, Godong mangkokan, Lanida, Ndalido, Ndari, Ranido, Daun koin, Daun papeda, Daun koin, Mangkok, Memangkokan, Goma matari, Sawoko, Rau paroro. MALAYSIA: Pokok puding mangkok, Semangkok, Daun belangkas. Platito is an erect shrub growing to a height of 1.5 to 3.5 meters. Stem is woody, branched, round, long and straight. Leaves are simple, somewhat rounded and concave, saucer-like, 6 to 12 centimeters wide, heart-shaped at the base and distantly toothed in the margins. - Planted for ornamental purposes. - Rarely flowers in the Philippines. - Probably Malayan in origin. - Yields polsciasaponin P1, calcium oxalae, peroxidase, amygdalin, phosphate, iron, fats, proteins, vitamins A, B1 and C.
- Yields a high content of triterpenoid saponins. - Leaf yielded a triterpenic glycoside: saponin C in addition to saponins A (calendulas E) and saponin B. - Studies have shown wound healing and lipid peroxidation inhibition properties. - Leaves are edible. Young leaves used as ingredient in stews. 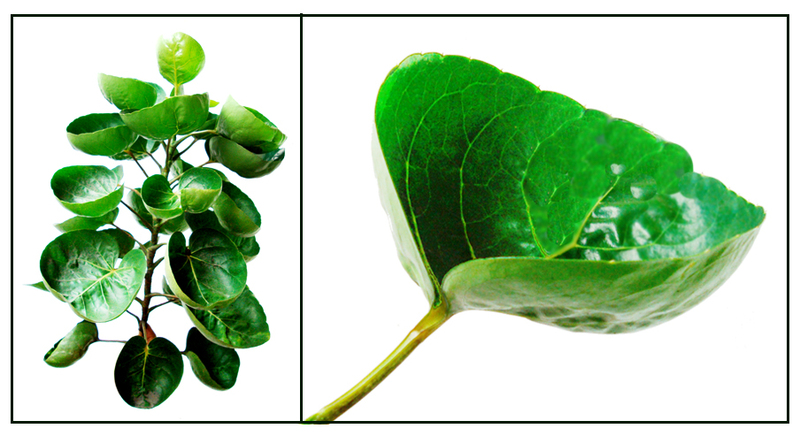 - Leaves are dipped in boiling water and applied hot to the region opposite the bladder to induce urination. - Leaves and roots are mixed with parsley and used as diuretic. 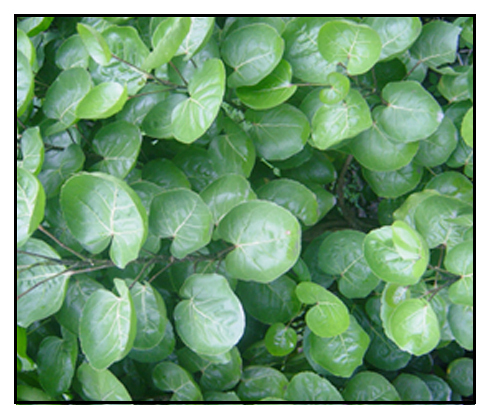 - Leaves are used for dressing ulcers. - Used as laxative, antiseptic, and deodorant. - In Indonesia, leaf juice mixed with coconut oil and tumeric applied over breast engorgement. - In Indonesia, coconut oil with leaf juice of N. scutellarium is gently massaged to the scalp to promote hair growth. Shoots and leaves used for urinary problems. - Fodder: Leaves used as fodder for cattle. - Leaves used as food platter or drinking vessel. - Used as hedge plant. Studies on wound healing property of Polyscias scutellaria leaf saponins / Madhu.C.Divakar, S.Laxmidevi, P. Senthil kumar, S.B.Rao / Indian Journal of Natural Products, Jan 2002; 17:37. Triterpenoid Saponins from Polyscias scutellaria / S. Paphassarang, J Raynaud, M Lussignol / Journal of Natural Products, Vol 52, No 2, pp 239-242, Mar-Apr 1989.